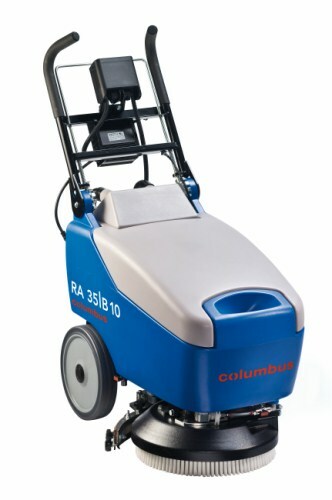 Cleaning machines by professionals for professionals: this is the goal that the company G. Staehle GmbH u. Co. KG is pursuing with its columbus brand. This goal has remained the same since the company was founded. Yet today it requires more than just a range of machinery for easy and effective cleaning. Professional users expect more. And they get more. Especially designed for varying needs, this scrubber dryer with traction motor masters every situati..
with onboard charger. Especially designed for varying needs, this scrubber dryer with tract..